For the last few years, I’ve had trouble choosing one favorite for my Best Book of 2017, so I’ve treated my list like an Olympic event with my top 3 books as my “medalists.” But, this year I had one overwhelming favorite. No other book even came close. 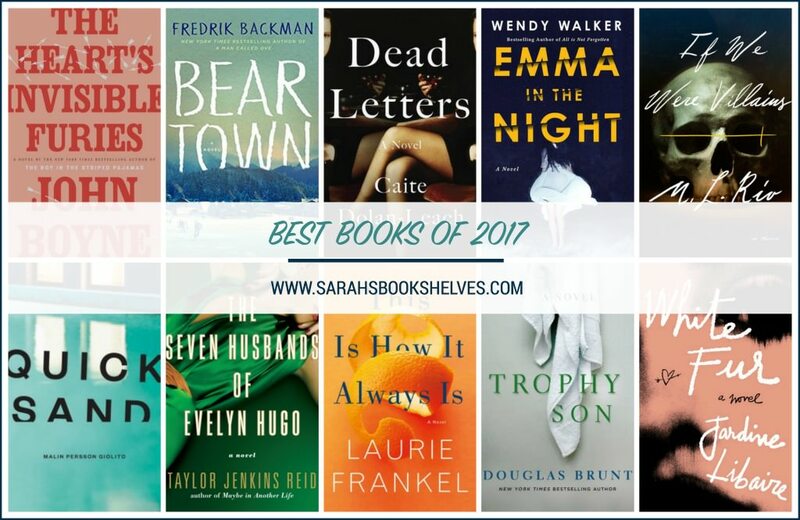 While I’m thrilled to have a secure best book of 2017, this year was difficult overall. There just weren’t as many books that blew me away as in previous years. And, the books that worked really well for me were lighter than my usual fare. But, there’s nothing wrong with some crackling brain candy and I read a couple outstanding ones this year. I was also on a completely different wavelength than the serious literary critics (via their Best Books of 2017 lists) and I didn’t love many of the books that publishers pushed the most (see my post on 2017 Books that Deserved the Hype…and Those That Didn’t). Finally, I’ve brought back the high school yearbook-style “Superlatives” from previous years (2016, 2015, 2014)!